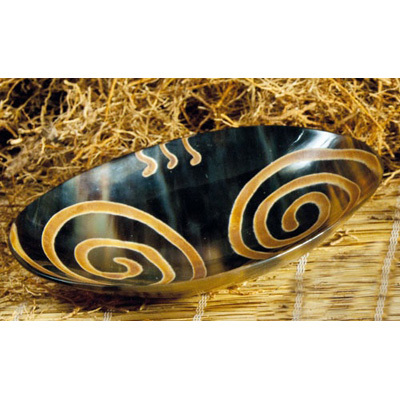 These Shamanic bone-bowls are especially suitable for ritual burning of incense and smudge. They carry the energy of "becoming and passing", the flow of life. Fill them with sand and light a charcoal or burn single leaves directly (e.g. white sage). Two adversely turning spirals, embody the expansion and the evolution of the universe.